Russian double agent Sergei Skripal, 66, and his 33-year-old daughter Yulia were found slumped on a bench in Salisbury, southern England, on March 4, exposed to the deadly nerve agent Novichok. Then, in July, Dawn Sturgess, 44, died after she and her partner Charlie Rowley were exposed to the same substance in nearby Amesbury. In early September — six months after the attack on the Skripals — police named two Russians as prime suspects in the case. They said there was enough evidence to charge Alexander Petrov and Ruslan Boshirov with attempted murder. British Prime Minister Theresa May, speaking at parliament, said the pair were Russian intelligence officers. She repeated claims that the Russian state was behind the attack, something Moscow strongly denies. "Their attempts to hide the truth by putting out a deluge of disinformation only reinforces their culpability," May said. Russian President Vladimir Putin on September 12, a week after the UK's claims, said Russia found the two men, knew their real names and said they were civilians. Police have not indicated how the two Russians they suspect of poisoning the Skripals managed to get Novichok to the crime scene. What they do say is it is thought the pair “contaminated” the Skripals’ front door with the nerve agent. There were also traces of it found at the London hotel Petrov and Boshirov stayed at before the attack. Rowley fell ill months later after finding a sealed box that he thought contained perfume. He gave it to his girlfriend, Sturgess, and sprayed it on her wrists, and the two were hospitalised in a critical condition. Sturgess died days later but Rowley has made a recovery. Russia’s ambassador to the EU, Vladimir Chizhov, has claimed the nerve agent could have come from Porton Down laboratory, a UK defence research laboratory situated 12 kilometres away from Salisbury. The laboratory's chief executive Gary Aitkenhead quashed the claims, saying it had the highest levels of security. What do we know about the suspects? May has said suspects Alexander Petrov and Ruslan Boshirov were officers in Russia’s military intelligence service GRU. Sergei Skripal, one of those targeted, was a former GRU officer who betrayed colleagues by collaborating with British spy service M16. Petrov and Boshirov arrived at Gatwick Airport, south of London, on Friday, March 2, and stayed at City Stay Hotel in East London, police say. The duo made a test run to Salisbury on March 3 before returning on Sunday morning where they were captured on CCTV near Skripal’s house. They arrived back in London on Sunday evening and took a flight from Heathrow Airport to Moscow at 10.30pm. 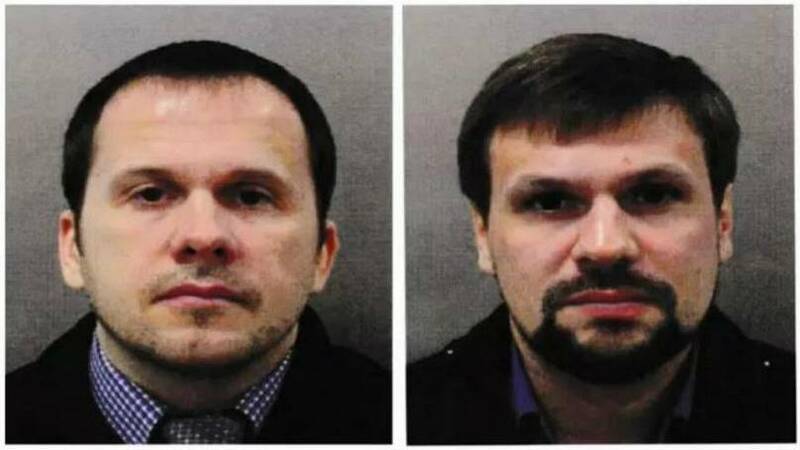 Police say there is no evidence Petrov and Boshirov — who were thought to be travelling under fake names — have since returned to the UK. Neil Basu, assistant commissioner of the Metropolitan Police, said prosecutors now had sufficient evidence to charge Petrov and Boshirov with the attempted murder of the Skripals and police officer Nick Bailey, who was poisoned investigating the incident. A European Arrest Warrant has been issued for the pair but British prosecutors will not seek their extradition because Russia does not agree to the transfer of its own citizens. 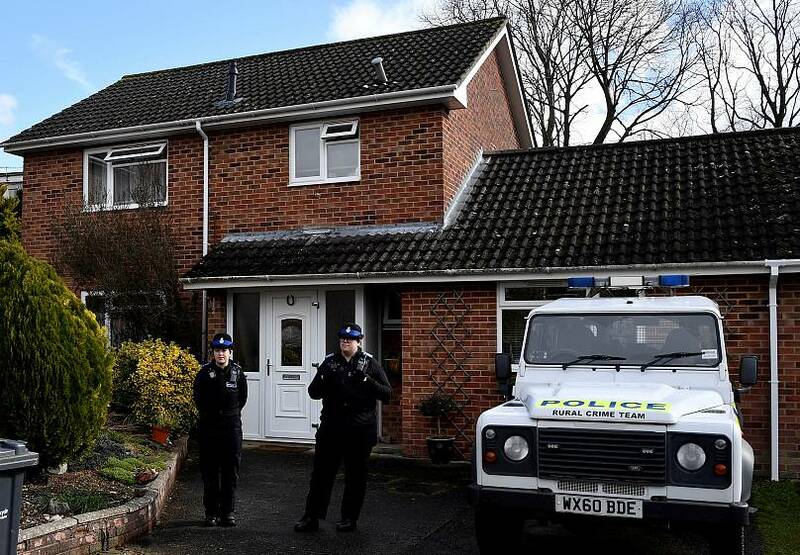 Police claim the front door of Sergei Skripal was contaminated with the substance by Petrov and Boshirov on March 4. 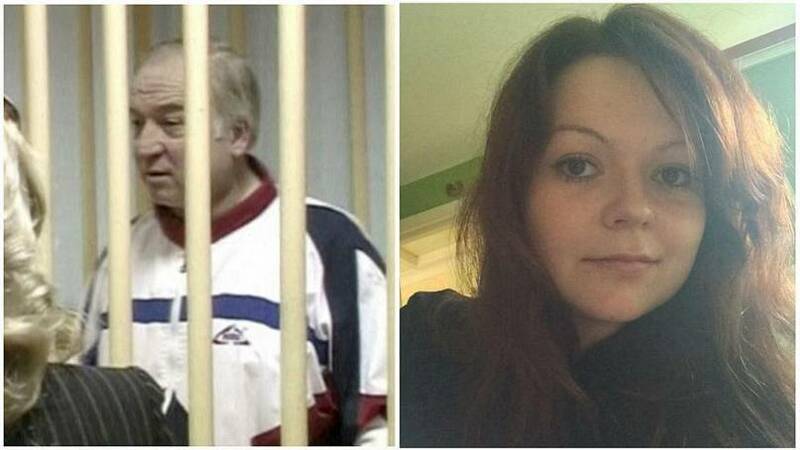 Skripal was found unconscious with his daughter Yulia on a bench in Salisbury city centre later the same day. Decontamination teams descended on the cathedral city in the aftermath of what Britain has described as the first use of a nerve agent in Europe since the Second World War. 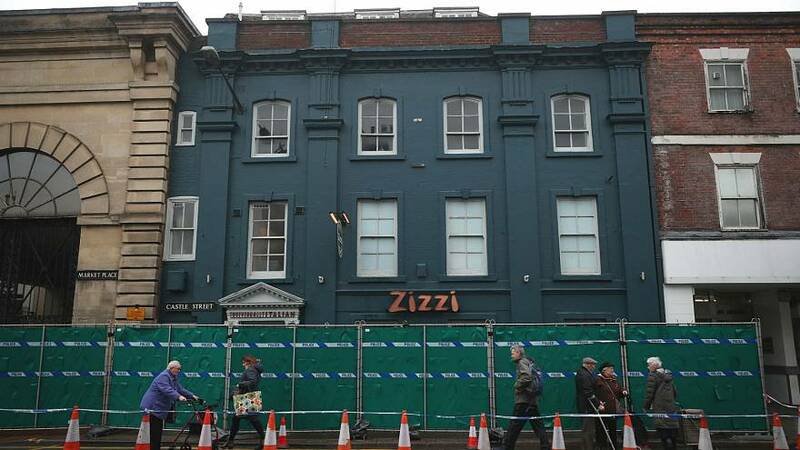 Attention was focussed on the pub and restaurant they had frequented before being found slumped nearby. They were in a critical condition in hospital for weeks but were eventually discharged, with Yulia later admitting she was lucky to be alive. Police say they are now linking the attack on the Skripals and the poisoning of Dawn Sturgess and her partner Charlie Rowley. It comes after the Organisation for the Prohibition of Chemical Weapons confirmed the same Novichok was involved in all four poisonings. Rowley had found a sealed box that he was thought was perfume, which he later gave to Sturgess as a gift. Both fell ill on June 30, nearly four months after the Skripals were found. Sturgess never regained consciousness and died at hospital on Saturday, July 8; Rowley, 48, recovered and was later discharged. “We do not believe Dawn and Charlie were deliberately targeted, but became victims as a result of the recklessness in which such a toxic nerve agent was disposed of,” said Basu in a statement on September 5. What has the diplomatic fallout been like? May and the British government have repeatedly pointed the finger at Russia. It prompted the biggest Western expulsion of Russian diplomats since the Cold War as allies in Europe and the US sided with the British view. Russia's foreign ministry said the names given by Britain did not mean anything to Moscow, which has repeatedly denied any involvement in the attack. "We have heard or seen two names, these names mean nothing to me personally," Kremlin aide Yuri Ushakov told reporters in Moscow. "I don't understand why this was done and what sort of signal the British side is sending."